Must be able to work with Seniors. Dishwashing experience. Experience with food preparation and service. Excellent communication skills, organizational and interpersonal skills. Team player. Must be able to work and manage a busy work environment. 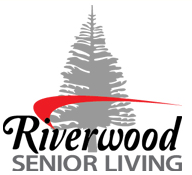 We welcome you to be a part of Riverwood Senior Living and join our family atmosphere. Riverwood Senior Living Home offers you all the comforts of home but without all the work. Decorate your room to your liking using your own furniture or ours and make it all yours. Companionship starts the minute you enter the building and a feeling of friendship grows each day as you are welcomed into our home.